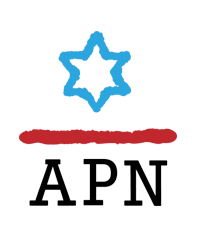 APN's Lara Friedman: No such thing as "benevolent occupation"
APN's Debra DeLee: Love Israel. Oppose BDS. Reject SodaStream. Peace Now Offering West Bank Tour in the Footsteps of "Price Tag"
Ma’ariv (back page) by Itamar Fleishman -- There is now another kind of tour to Judea and Samaria in addition to the popular tours to the sites where historic events took place, and visits to settlements and wineries. These news tours are being sponsored by people who oppose all settlement beyond the Green Line, and they will take visitors to places where price tag operations were committed. Oppenheimer promises that the tour will also visit places that have become “hostile for IDF soldiers.” He is most likely referring to outposts that are considered more militant but refuses to give details due to “concern that settlers will decide to block the roads and only let in tours of people of their own mindset,” as he puts it. The tours are meant to counter the successful tours given by the settlers in which thousands of Israelis, among them VIPs, visit the territories, are given a subsidized tour and learn about the settlers’ view of events. One agency that gives such tours is the Settlers Council.